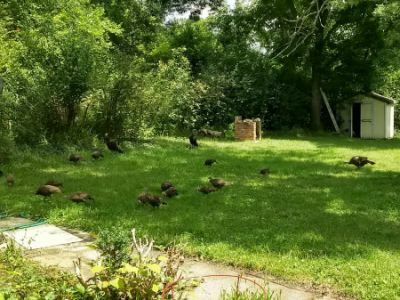 A visit by a typical family of turkeys. They just wander around, making life more pleasant for us humans. We counted something like 16 juveniles and 4 adults.